You can pick out your favorite fabrics and options and be measured for custom made suits, slacks, sportcoats and more! Can't find the proper fit no matter what you do? 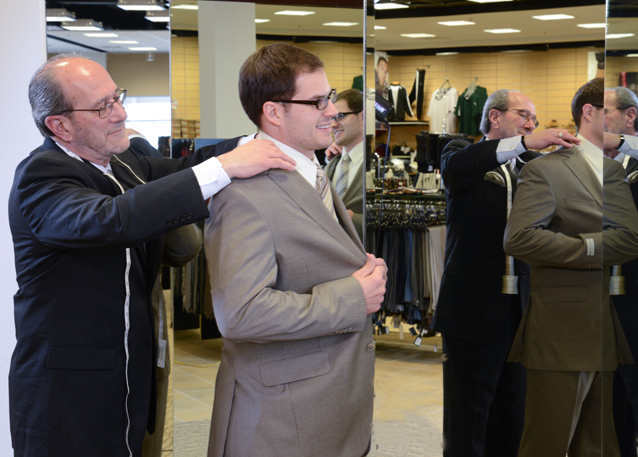 You can create your own custom clothing at Charney's. Or perhaps you just want a certain fabrication for your dress slacks, suits, or sportcoats. 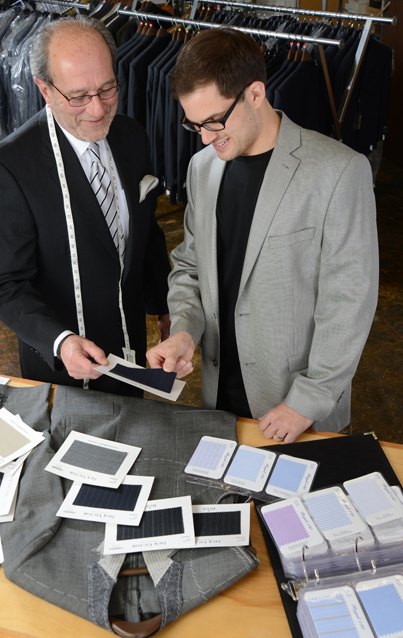 Choose your fabrics, styles, buttons and more to create your own custom made clothing. 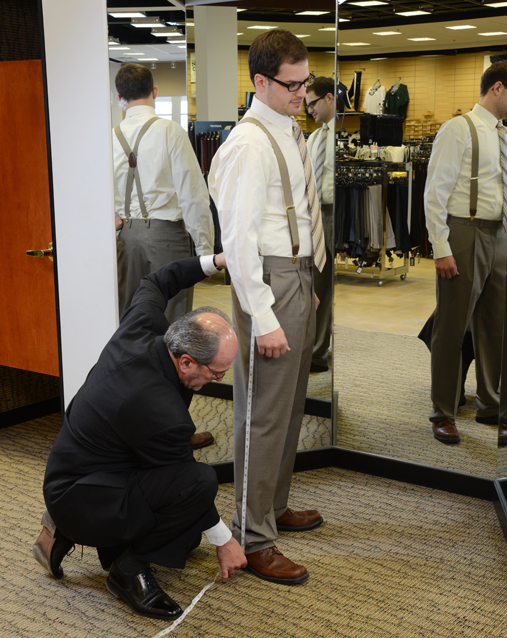 Our professional clothiers make it easy. 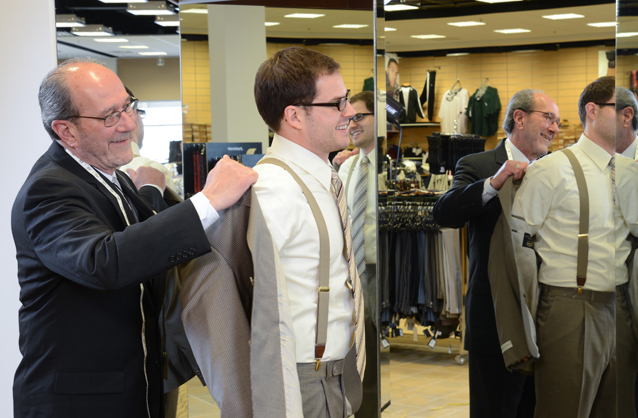 And don't forget, a gift certificate toward custom clothing makes a great gift for the discerning gentleman.